That amazing feeling when someone loves your book and draws you a new cover for it! I hope I can steal the idea if it ever gets reprinted. Thanks so much, Shan! A warning to anyone visiting India: stand for their anthem! People standing for the anthem in a New Delhi cinema. This photo’s stolen from Chandan Khanna of Agence France-Presse. Sorry, Chandan! You don’t force people to be patriotic. Your country should be inspiring enough that people want to stand for your anthem without needing a law to tell them to. How many other countries have such laws? None! Well, maybe North Korea, but you get my point; this isn’t a sensible thing to have done. Have some self-confidence, and get this ruling overturned. And when Shyam files his next petition, try to ignore it! Sorry about that. Things have involved a lot of running around. Normal servive resuming now! I am not going to stand up to show pride for a country that oppresses black people and people of colour. To me, this is bigger than football and it would be selfish on my part to look the other way. There are bodies in the street and people getting away with murder. I was genuinely shocked when I heard the news. Not because of what Kaepernick did, but because he’s the first. The Star-Spangled Banner is something I’ve been expecting Black Lives Matter supporters to have long used in protests or to have protested against. I mean, “the land of the free and the home of the brave”? That hardly seems to ring true at this moment, does it? I’ve also long been expecting an athlete – black or otherwise – to realise the symbolic importance of the anthem. I was sure one would do something during an Olympic medal ceremony. Another potential flashpoint is the song’s third verse which talks about how “no refuge could save the hireling and slave from the terror of flight or the gloom of the grave”. Those lines are referring to the Americans defeating British soldiers, who included a handful of ex-slave regiments. Some commentators are now looking at those words as meaning the anthem’s racist, especially as its author was a slave owner although, personally, I think that’s going too far. (The songwriter, Francis Scott Key, was a lawyer who tried to free slaves as well as keeping them, so his history’s complex, and the anthem is a vehemently anti-British song, not an anti-black one. Then there’s the fact no one realised there was a third verse until recently!). So, why has it taken so long? I worry it’s because being labelled “unpatriotic” in the US has become so stigmatising – far more so than in other countries – that tackling the anthem is seen as too risky. That shouldn’t be the case. 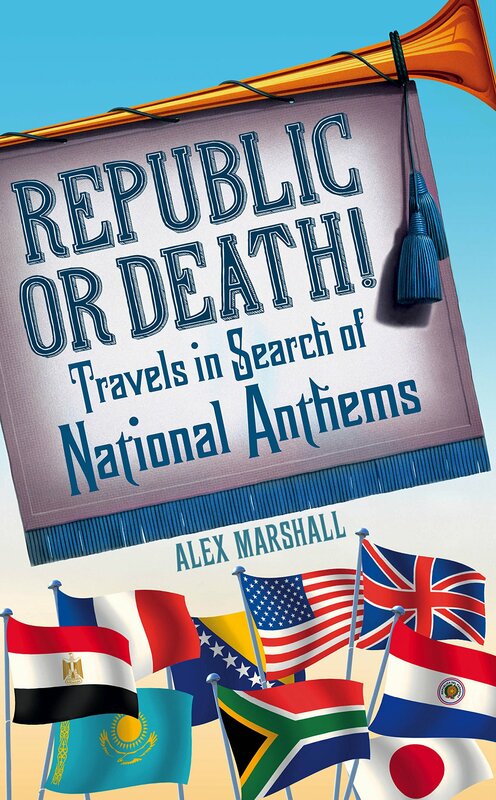 National anthems are there mainly to unite and inspire, yes, but they’re also there to reflect a nation – and that means they can and should be used to criticise it. Kaepernick is in a long line of people who’ve used anthems to make political points (see my book to learn about the many Japanese who use theirs to protest right-wing politics, for instance, or just think of Hendrix doing his Star-Spangled Banner covers). I hope he’s not the last. Is it right for now? The message, yes. But, musically, obviously not. I’m also the sort of person who thinks every protest movement should write its own music. The best black American protest song I’ve heard lately is YG and Nipsey Hussle’s FDT (F*ck Donald Trump), which has the benefit of being an utter banger as well as having a message. Enjoy below or, er, give Ray Charles another spin! Olympic anthem of the day #1: Brazil’s! At last night’s Opening Ceremony, a samba musician called Paulinho da Viola sung the most beautiful version of Brazil’s national anthem – making it seem as delicate as patriotism itself. You should hear it as soon as you can. Billboard has a brief clip here and here’s the BBC’s stream (the anthem starts at 28:30). 1) Its intro, which spirals upwards, getting faster and faster, as if trying to force you to your feet. Brazil’s is one of the great, rambunctious, operatic anthems of South America. Its composer, Francisco Manuel da Silva, was so obsessed with Italian opera (he set up an academy for it in Rio) it’s no surprise he mimicked its style. 2) Because if it is played, Brazilians will carry on singing it long after the music’s been stopped, creating the most powerful, inspiring sound of the Games. They did it during the World Cup as the below recording shows, so why not at the Olympics too? Is there any hope it’ll get an airing? Apparently so. Look out for Mayra Aguiar in the women’s -78kg judo category, which gets going around Aug. 11. She got bronze in London 2012 and will be seeking revenge here.